Obtaining a mortgage can be quite a complicated process even without the financial hurdles, but if your spouse’s credit has experienced a number of difficulties, acquiring a mortgage can be even more of a burden. 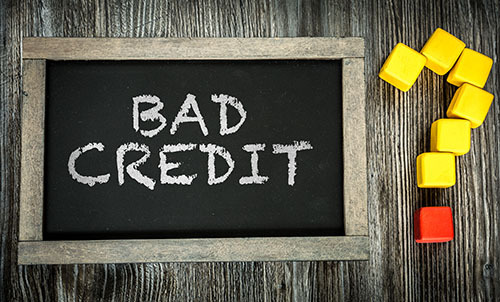 If you’re concerned about what bad credit will mean for your mortgage and are weighing your options, here are some reasons why it might be important to use a co-signer for your application. From getting an education to purchasing your first vehicle, it’s a common occurrence for people to take a loan out at some point in their life. However, getting a loan can be very difficult if you happen to be married to someone with a poor credit history. While having someone you know co-sign your application is not without its risks, it can be a means of securing mortgage financing so that you can move towards a less burdensome financial situation. It adds stress to the process if you have a partner with a poor credit history, but the benefit of a co-signer is that it can be one of the few opportunities you’ll have to really improve a problematic rating. With a co-signer to vouch for you, you will be able to pay down your mortgage consistently and slowly build your spouse’s credit in a way that will give both of you a lot more financial opportunities in the future. It goes without saying that having a co-signer can be a significant financial risk for the person who chooses to sign for you, but – if approached responsibly – this can be a means of building trust with your family members or friends. While co-signing may be a necessity for your situation, it’s important to be aware that it’s a huge commitment for the person who agrees to it and their support should be seen for the good faith it is. As co-signing is a considerable responsibility for the person who offers it, it’s important to ensure that purchasing a home is the right financial choice for you before asking someone to vouch for your application. If you’re currently in the process of looking for a new home, contact your trusted mortgage professional for more information. This entry was posted in Home Mortgage Tips and tagged Home Mortgage Tips, mortgage, Mortgages and Credit by BJ Kirkpatrick. Bookmark the permalink.